“Androgen receptor CAG and GGN repeat length variation contributes more to the tumorigenesis of osteosarcoma” has been cited once since it was published in September 2016, according to Clarivate Analytics’ Web of Science. 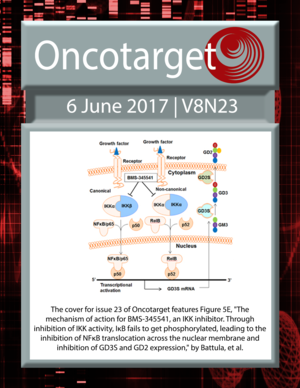 Oncotarget is published by Impact, which was included in the now-defunct list of possible predatory publishers compiled by librarian Jeffrey Beall. We’ve contacted the editors and corresponding author Zhaoming Ye, based at 3rd Hospital of Henan Province, Henan, China, to find out more. Unless we hear back from them or others with knowledge of the specific errors, we’re as mystified as the readers of Oncotarget. It is difficult to understand what the “plethora of data errors” actually means. Nothing has been reported via PubPeer, where there are quite many Oncotarget papers discussed already (will they be retracted?). The data presented in this paper consist of no more than three tables. Table 1 has a skew distribution in the smoking and alcohol status when comparing PTC (smoking status “Ever” = approx 33%) and Osteosarcoma (smoking status “Ever” = approx 20% (Cases) and approx 10% (Controls). Same for Alcohol status: for PTC: Alcohol status “Ever” = approx 65% and for Osteosarcoma, Alcohol status “Ever” = approx 20%. Does the expression “Ever” mean constant smoking and drinking? Another striking thing about this paper is that 10 out of 28 citations (36%!) is self citations (Oncotarget), which is unusual even for Oncotarget (this journal has a record high self citation rate). You ask a person “Do you ever smoke?” If they answer yes they are an “ever smoker” and if they answer no they are a “never smoker.” Pretty standard jargon, though personally I hate the way it sounds.